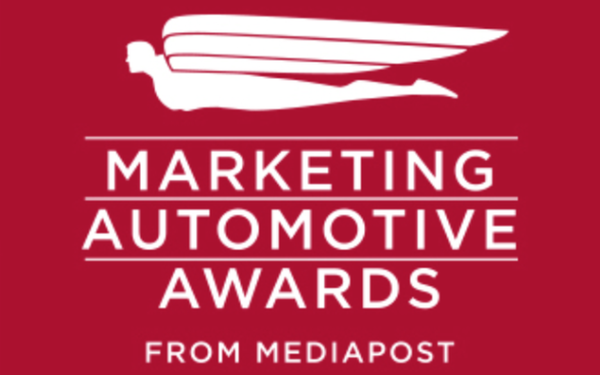 For a fourth year, MediaPost has named its picks for top automotive marketers and agencies. The competition was especially heated in all categories, and the panel of industry observers, experts and marketers did the arduous work of finding the best of the bunch. They will be honored at a luncheon during the Marketing: Automotive conference during the New York International Auto Show on April 17 at the Javits Center in New York. The jury that selected the award winners were Ian Beavis, chief strategy officer, AMCI Global; Elgie Bright, automotive marketing and management department chair, Northwood University; Larissa Faw, reporter, MediaPost Agency Daily; Lauren Fix, automotive analyst, Car Coach Reports; Tanya Gazdik, senior writer, automotive editor, MediaPost; Rebecca Lindland, founder, rebeccadrives.com; Noah Mallin, head of experience, content and sponsorship, North America, Wavemaker; Luis Miguel Messianu, creative chairman, CEO, Alma; Scotty Reiss, founder, A Girl's Guide To Cars; and Gary Topolewski, communication developer, Estota. The Automotive Marketer Of The Year honor goes to Edward (Ed) Laukes, who has spent almost 30 years at Toyota Motor North America. During that time, he has helped transform the company into a major player in the automotive category and a brand synonymous with quality. Laukes has a vision for what automotive marketing can do to help make the world a better place that extends far beyond the company’s balance sheet. Isobar, which handles digital work across all the General Motors divisions (Chevrolet, Buick, Cadillac, GMC, Maven and GM Certified Pre-Owned) is the Automotive Agency of the Year (Digital). The company's outstanding work in 2018 included enabling GM to be the first U.S. automaker to use Google’s advertising beta tool, Director Mix, in a comprehensive national campaign for Buick. "They have always been at the highest level creatively, but are now providing clients like GM with solutions that also solve complex problems in a very disrupted automotive ecosystem," Beavis says. The Best Integrated Campaign (three channels or more, including online) goes to Hudson Rouge and Lincoln for its “Nautilus Ultimate Control” effort. The agency was challenged with demonstrating Lincoln’s innovative suite of driver assist technologies in an upscale and luxury-appropriate way. Given the near-invisible nature of many of these features, the team looked to the world of elite billiards as a way to illustrate the product benefits. In the marquee broadcast spot, brand spokesman Matthew McConaughey uses a billiards trick shot as a metaphor for the behavior of the vehicle's safety features. Best Social Campaign goes to Innocean for its “Million Mile Elantra” campaign for Hyundai, which showcased one of Hyundai’s most dedicated owners and the quality and reliability of Hyundai vehicles. The effort featured a woman who put more than a million miles on her 2013 Elantra. The social media content series combined for more than 1.9 million views and over 600,000 organic views, with a 71% completion rate. The Best Interactive Execution or Campaign attracted several worthy candidates, but the ultimate winner was Infiniti and its Japanese Automotive Invitational created by MotorTrend Group. The event, held in conjunction with the Concours d’Elegance in Pebble Beach, attracted a new generation to the iconic auto event. Hundreds of car enthusiasts, including many millennials, flocked to the two-day display to gape at the diverse mix of vehicles. Finally, the Best Campaign For A Dealer Group goes to CarMax, based on the humorous ads created by AOR McKinney. The tongue-in-cheek spots featuring actor Andy Daly are “both fun and memorable,” according to one juror.